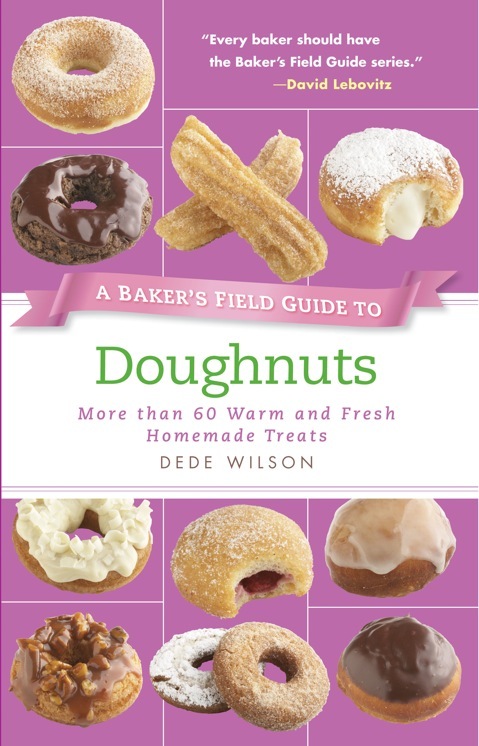 As with all the Baker’s Field Guides, you will find a full-color picture of every doughnut and easy step-by-step instructions. You will find all the classics, such as Old-Fashioned Buttermilk Doughnuts, Chocolate Cake Style Doughnuts, Basic Yeast-Raised Doughnuts and the very popular Krispy Kreme Kopycat glazed. There are also brand new doughnut creations such as French Crullers with Grand Marnier Glaze, Gingerbread Doughnuts with Lemon Glaze, Chocolate Coconut Doughnuts, Nutella Doughnuts with Gianduja Glaze and White Chocolate Truffle Doughnuts! There are baked as well as fried and you do NOT need a deep-fat fryer to make these homespun treats.